In addition, 60 percent of Syrian children show signs of anxiety because of the trauma - very likely impacted by their mother's PTSD, said study principal investigator Arash Javanbakht, M.D., an assistant professor of Psychiatry and Behavioral Neurosciences. The refugees had been in the U.S. for two to eight weeks at the time of their interviews with the researchers. Dr. Javanbakht is a psychiatrist and director of the Stress, Trauma and Anxiety Research Clinic on the university's campus in Detroit. He joined the School of Medicine's faculty in 2015 following a residency and fellowship at the University of Michigan. The study, Risk and Resilience in Syrian Refugees, is his first research effort at WSU. 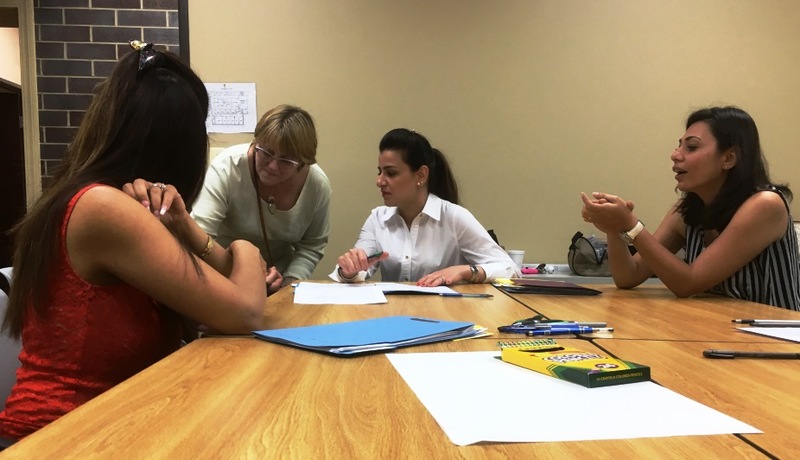 Working with the Arab American and Chaldean Council, or ACC, and its related health clinics in Dearborn and Sterling Heights, a team that includes several former Iraqi war refugees collected epidemiological, genetic, inflammation and stress data from 400 study participants, including 95 families, now living in southeast Michigan. The refugees were also asked to describe in the 10- to 30-minute interview any challenges they faced because of the civil war; their circumstances before, during and after fleeing their home country; the meaning of this experience for them; their mental and physical health; family dynamics and more. "The longstanding relationship between our department and the ACC was very helpful in starting this project. We want to see the epidemiological and biological vulnerability and resilience factors related to the effects of civil war trauma on this unique ethnic and cultural population," Dr. Javanbakht said. "We also collect saliva for genetic and epigenetic studies of factors contributing to resilience or vulnerability to PTSD. We collect hair to measure cortisol, which will let us know the cumulative level of stress over the last few months. We also look at inflammation markers, as there is recent evidence linking the role of inflammation to the development of PTSD." He expects the study's progress to slow considerably because of President Donald Trump's recent executive order banning immigration from seven countries, including Syria. The physician, a dual citizen of Iran and the United States, is concerned about the negative impact the ban - and the uncertainty it brings - will have on refugees in the U.S.
"This is another stressor, on top of the stress they're already experiencing. It very likely is going to worsen their mental health and PTSD symptoms. Having come from the mindset of an authoritarian society, any sign of this kind of behavior can be very scary for these people," he said. "I know the culture. This group is very vulnerable. They need the medical field to advocate for them, now instead of later." The study is supported by the state of Michigan's Lycaki-Young Fund, Detroit Wayne Mental Health Authority and Behavioral Professionals, Inc. Many team members are volunteers, including five research assistants who served as dentists and physicians in Iraq and Dubai. Zainab Rawi is a dentist who sought refuge in Michigan in 2011 with her husband, a torture victim in Iraq, she said. "They left the country just to survive," she said. "They're worried about the future of their kids." The volunteers have a 90 percent success rate in recruiting eligible participants, who are interviewed at the two clinic sites weekly. "We're dealing with fragile people who have been through so much," added volunteer Farah Alani, who moved to the U.S. with her mother, father and brother from Iraq in 2009. Dr. Javanbakht hopes to secure external funding to expand the study population and continue the work, with plans to follow a cohort of refugee children for up to 20 years to see how the trauma affects them over time. "We want to continue it for as long as we can," he said. The team includes the WSU Department of Psychiatry and Behavioral Neurosciences' Luay Haddad, M.D., and Alireza Amirsadri, M.D., who coordinate with the ACC and provide consultation regarding cultural relevance; Cynthia Arfken, Ph.D., who is providing data analysis and data quality assurance; Suzanne Manji, R.N., project coordinator; Samantha Sonderman, research data coordinator, and Michelle Caton, administrative support. Research assistants include Zainab Rawi, Mohammed Isam Alsaud, Zeina Alobaidi, Farah Alani and Hiba Suhaiban. The WSU College of Liberal Arts and Sciences' Paul Burghardt, Ph.D., will analyze the inflammation and cortisol data, and the Israel Liberzon lab at U of M will provide genetic analysis. The study includes colleagues in the WSU Department of Psychology and the U of M Department of Psychiatry, who may provide culturally-tailored intervention and treatment for the affected refugees. "They are looking into using our experience with this population to tailor culturally-appropriate outreach - to go to the houses, and see the needs, and how those can be addressed for the parents and the kids," Dr. Javanbakht said. He also is accepting donations to provide culturally-tailored intervention and treatment for the affected refugees, including telemedicine psychiatry services. "It is vital to provide these interventions sooner than later, to prevent ongoing negative effects of PTSD and depression on day-to-day life and adjustment of the refugees to their new environment. This is even more critical for children whose brains are developmentally vulnerable to the negative effects of trauma, if not treated," he said.